I had the honour of addressing the Baltic Sea Action group on the opportunities to drive the circular economy using fiscal instruments. The main thread of my presentation was the work done with the Swedish Sustainable Economy Foundation on the nutrients phosphorus and nitrogen from field to plate to field and the framework of the fiscal and economic realities affecting decisions at each step. If you take a step back to see the whole chain, you realise that no-one wants to be counter-sustainable, but from each person’s viewpoint they must make economic decisions for the domain they are responsible for. By going as far up the supply chain as possible, it is possible to add dividend-bearing surcharges to existing levies that stimulate a circular economy. To view the whole presentation see the youtube clip below. The Future Perfect Festival, held on the Stockholm archipelago Island of Grinda, wrapped up recently. The event, now in its third year, is designed to provide a space for those engaged emotionally and professionally in sustainability; a space where they can gather, engage in dialogue and co-create. Den 16 april samlades 300 personer på Folkets Hus i Stockholm på Stora Tillväxtdagen, som arrangerades för fjärde gången. Cirka 500 personer följde också konferensen via livesändning på webben. Under dagen varvades övergripande utmaningar med ny fakta och konkreta tips på hur vi alla kan bidra till en hållbar utveckling. 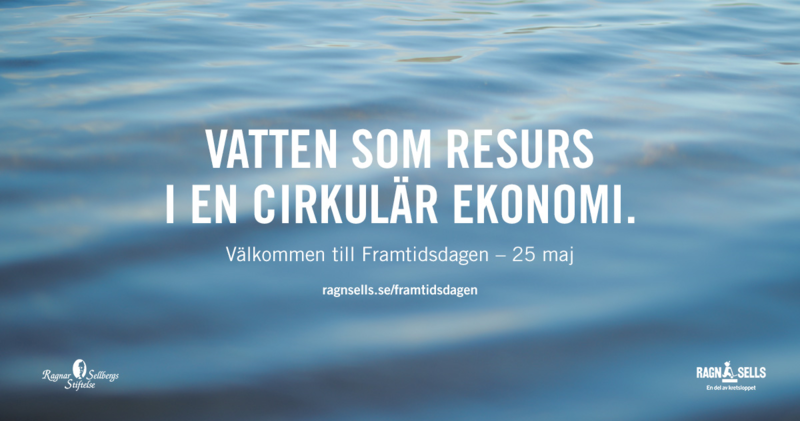 Stephen Hinton presenterade TSSEF’s (The Swedish Sustainable Economy Foundation) ekonomiska styrmedels mekanismer. On April 16, 300 gathered at the Folket’s Hus conference center in Stockholm for the “Economic Growth Day”, held for the fourth time. About 500 people followed the conference via live streaming on the web. During the day, challenges, new facts and practical tips were presented on we all can contribute to sustainable development. Stephen Hinton presented, TSSEF’s (The Swedish Sustainable Economy Foundation) economic control mechanism for control of pollutants.